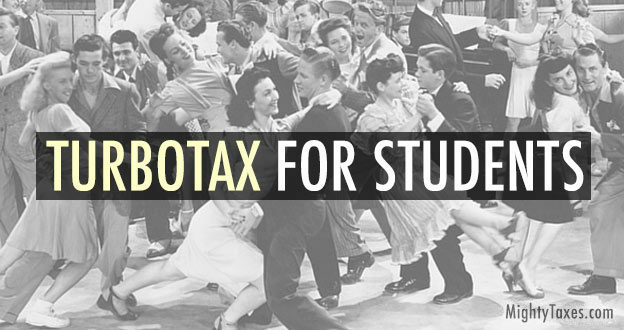 TurboTax for Students | File FREE or Get a Swell Discount, Daddy-O! TurboTax for college students: If you’re a student and attended at least one course last year, you might qualify for significant student tax breaks. Lucky for you, TurboTax specializes in helping students get their maximum tax refund. We have a great student discount, or for students with simple taxes, you might even be able to file free! More complex taxes? 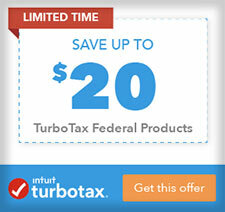 Get a 10-20% off all editions of Turbo Tax here! Hey fellow students, I just filed my taxes for free with TurboTax! If you are a college student, TurboTax might just be the perfect software choice to file your federal and state taxes. Why? Because they have a special education credits and deduction finder to make sure you get your maximum tax refund. Interested? Learn what eduction credits and tax deductions you can claim on your tax return by using TurboTax for students. 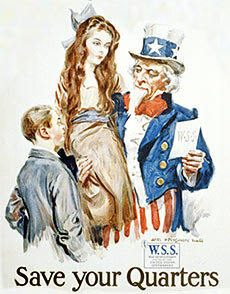 Can Students File Taxes for Free? The short answer to that question is “yes,” but you have to have simple taxes. Turbo Tax begins the filing process with a few questions to help determine which edition of their software is best for you. For example, if you have very little income and live in a college dorm, you can probably use the free version of their software. If you are an Uber driver, work part time, and have income from investments, then your taxes are not so simple. In that case, TurboTax may suggest that you use their Self-Employed edition (which costs more) to maximize potential deductions. So, can you use the free edition for students? Answer a few questions, and find out now. Students will find that the The Lifetime Learning tax credit is the most easy to qualify for, giving you up to a $2000 tax credit towards school expenses including tuition and books. To qualify for this tax credit, you’ll just need to show proof that you attended at lease 1 class during the year. As a student, The American Opportunity tax credit can give you up to $2500 tax credit for tuition, books, and supplies that you spent money on in the first four years of pursuing a college degree. Don’t owe the IRS money? Great; you might be eligible for a tax refund check for 40% of the tax credits that you quality for! You can use the TurboTax Student Edition for your maximum tax refund, and free Federal efile with every edition. *Related: Is TurboTax really free? Not eligible for these Student Tax Credits? Not a problem! As a college student you may still qualify for a tax deduction of up to $4k, even if you get grants, loans, or a scholarship. Check out the link to the Student Edition of TurboTax above, or their free version for simple tax returns., consistently ranked as the best free tax software. As an international student, or non-US resident, you might be required to file a 1040NR. 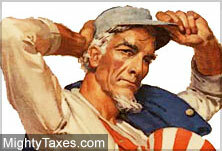 TurboTax can walk you through that as well to ensure you don’t miss any tax deductions and get your maximum refund. Thanks! I’m a college student who has done unspeakable things for money, so a discount on turbotax is a great way to pocket some cash without feeling regret or crying in the shower. Didn’t know there was a version of their software just for students. thanks!